I had difficulty becoming a mother – physically, I mean. There was nothing I wanted on this earth more than to be an opera singer AND a mother at the same time. While my nascent singing career was slowly taking wing, our best efforts to become parents crashed. I was getting a bit miffed at God for not blessing us with a pregnancy while dozens of other women – some who weren’t even trying – were getting pregnant from nothing more than a cross-eyed look from their husbands. We were doing our part, employing every trick in the book short of using a turkey baster, but it was for naught. “Just two lines,” I sighed. “There are two lines,” he said. And then the tears began. All the years of hope, disappointment, anger at my body, anger at God… all of it came out in great, gaping sobs. I was becoming a mother. 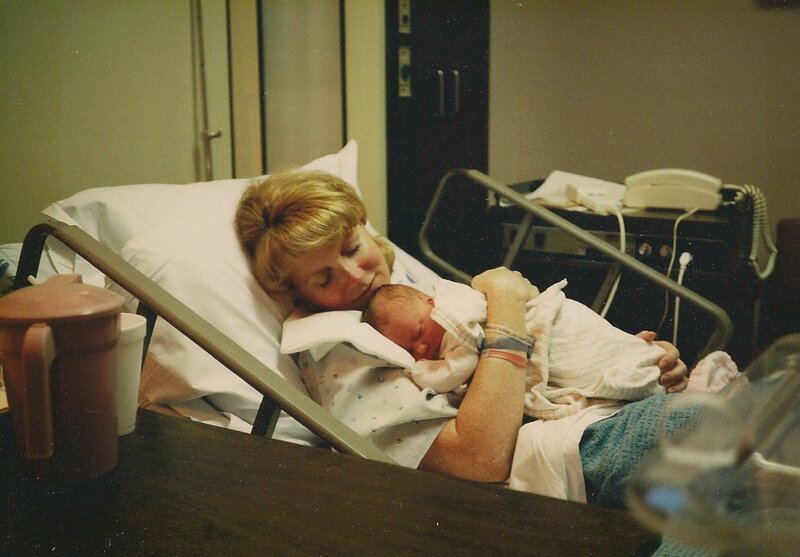 On the night she finally arrived, I hadn’t even known I was in labor. But as naïve as I was about my labor pains, I was more naïve about what being a mother is all about. Motherhood, like marriage, is holy-making. It is a great mirror held up to show your worst character traits, your deepest scars, and your biggest fears. It challenges you on every front and beats the selfishness out of you every day. Motherhood is not for sissies. It is a pounding, molding, refining process designed to bring you one step closer to Christlikeness. The flip side of the motherhood mirror reflects strength you didn’t know you had, love you didn’t know you were capable of, and occasionally, it can even fill you with a downright unholy pride. I had this whole motherhood thing all backward. Being a mother is not just for me to grow up another human being. It is meant to grow me up into the woman God created me to be. Thank you for your lovely, honest piece. We’re having our first in a couple of months. It truly is a miraculous experience. I’ll never know what it’s like to be a mother:) however, I’ve always considered it to be something of a heroic journey (something I do know about as a scholar of ancient Greek epic) and what you say captures the essence of this exactly. This is, in my opinion, what living is all about. Best wishes on your journey as a parent. I could have written this (not as well) but your story sounds so much like mine (except for the opera singer part). I read it and wept remembering all the childless Mother’s Days I endured. They seem so long ago now. A whole different lifetime. God blessed us with a daughter 9 years ago. And you are absolutely right about motherhood not being for sissys. I was knocked off my holier than thou high-horse the very moment I brought her home and realized this adventure was way bigger than I had realized! AMEN AMEN….AND AMEN! This is the truest statement about motherhood. There’s nothing “pansy” about it…but it’s the greatest job any one of us will ever do! Thank you once again for making my mascara run! Precious words for moms to ponder! I love the way you wrote this: “It is a great mirror held up to show your worst character traits, your deepest scars, and your biggest fears. It challenges you on every front and beats the selfishness out of you every day.” And that convicting nature of motherhood is something I’ve come to praise God about. I’m thankful He shows me where my faults are through motherhood. It causes me to lean more on Him. Great post. Thanks, Caroline! It is a great irony, isn’t it? How blessed we are to be given the opportunity to see what He sees in us, and to be changed by His grace.